Editor's note (10/25/17): You can practice what you learned in class with 15 hours of Free virtual lab time when you attend the in-person or Live Web Applied Analytics Using SAS Enterprise Miner class. Register now. Are you interested in taking an advanced course on the machine learning topic of Neural Networks? Does text mining on unstructured data sound interesting? Interested in becoming a certified predictive modeler using Enterprise Miner? If you answered “yes” to any of these questions, then your first step is likely to take the Applied Analytics using SAS Enterprise Miner course. Enterprise Miner is SAS’s flagship software for any data mining application. Applied Analytics using SAS Enterprise Miner gets students started on their journey into the wonderful world of SAS® Enterprise Miner™. This course is a great foundation for other courses using Enterprise Miner offered by SAS. Students are introduced to the basic philosophy of predictive modeling and then dive into the background and applications of decision tree, regression, and neural network models. The course covers model assessment, refinement, and comparison as well as model deployment. A bonus chapter on predictive modeling includes, but is not limited to, topics on ensemble models, using SAS Rapid Predictive Modeler (RPM), and advanced methods for variable selection. In addition to predictive modeling, the course also covers pattern discovery topics of clustering and market basket analysis. Applied Analytics using SAS Enterprise Miner not only introduces data mining topics and the powerful software used by data scientists, but prepares students to begin working with the tool as soon as they return to their office! The course is very practical in this way. The course also serves to open the door for a multitude of courses which may follow this introductory course. Some of these advanced courses continue the topics learned in greater detail, for example, Neural Network Modeling or Decision Tree Modeling. Other courses focus on advanced enterprise miner applications not covered in Applied Analytics using SAS Enterprise Miner, such as Development of Credit Scoring Applications Using SAS Enterprise Miner or Text Analytics using SAS Text Miner. SAS Education also offers several Business Knowledge Series courses that serve as great follow-up training. Check out Customer Segmentation using SAS Enterprise Miner, Survival Data Mining Using SAS Enterprise Miner Software, and Fraud Detection Using Descriptive, Predictive, and Social Network Analytics. The door to the Enterprise Miner world is right in front of you. All you have to do to open that door is sign up for the next offering of Applied Analytics using SAS Enterprise Miner. The course is offered publically in SAS training centers and via live web delivery. It can be requested as an on-site course and is even offered via self-paced e-learning. So why wait? Open the door and enter the wonderful world of SAS Enterprise Miner. Interested in certification? Check out the SAS Certified Predictive Modeler using SAS Enterprise Miner 13 credential. There is even a training package to help you prepare. 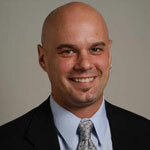 My name is Jeff Thompson and I am an analytical training consultant in SAS's education division. I have been at SAS since February 2010. I have a PhD in statistics from the University of Florida and prior to working at SAS I was a professor in the department of statistics at North Carolina State University. The courses I teach at SAS focus on data mining and business analytics. The software that I teach includes Enterprise Miner, Enterprise Guide, and Forecast Server. I recently developed the course: SAS Enterprise Miner High Performance Data Mining Nodes. Jeff : out of curiosity, is it possible to access SAS Enterprise Miner as a SAS "OnDemand" tool? I can get access to the course, but I don't have SEM to get familiar with. Divyesh: The short answer is No. SAS Enterprise Miner is not available as a SAS OnDemand tool. However, a US based customer could purchase the SAS Academy for Data Science Blended academy, which includes 45 hours of virtual lab time including access to SAS Enterprise Miner, to use for practice. For more on this option, contact SAS directly at 1-800-727-0025. Divyesh: I have an update since the last answer I provided to your question in January. It is now possible to purchase 15 hours of virtual lab time to practice with Enterprise Miner. My original blog has been updated (http://blogs.sas.com/content/sastraining/2017/01/24/step-into-the-wonderful-world-of-sas-enterprise-miner/) and the first line now includes a link that provides information on purchasing this virtual lab time. Good luck.